I posted a question, asking about this particular bloom. 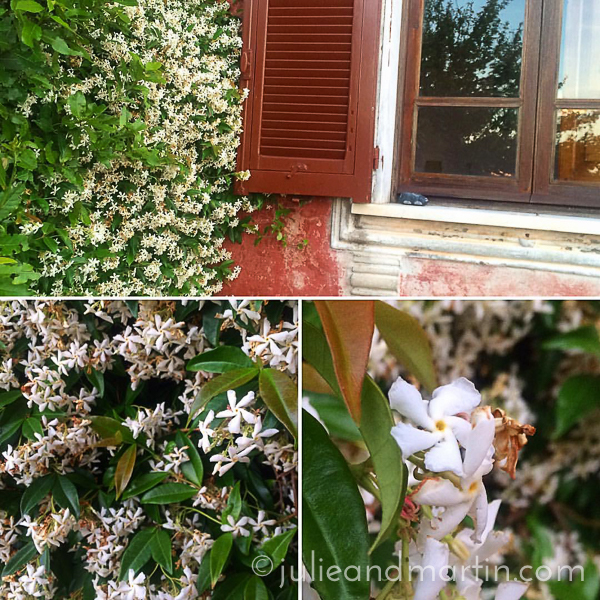 My friends informed me it is jasmine. It is so fragrant! I think it is a type of honeysuckle and the scent reminds me of pink lilies. The kids think the blossoms smell like vanilla. The last two homes we’ve visited had this growing like crazy near their front doors. It perfumes the whole house! Higher education stops for no vacation! 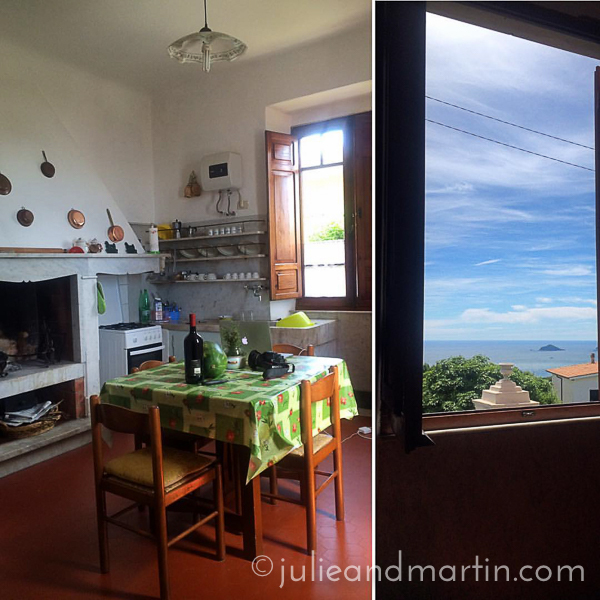 Fortunately, I get to work on my assignments in this cute Italian kitchen with this view in Montemarcello. Martin and the kids climbed down the mountain (literally) to the beach below this village so I can work in peace. 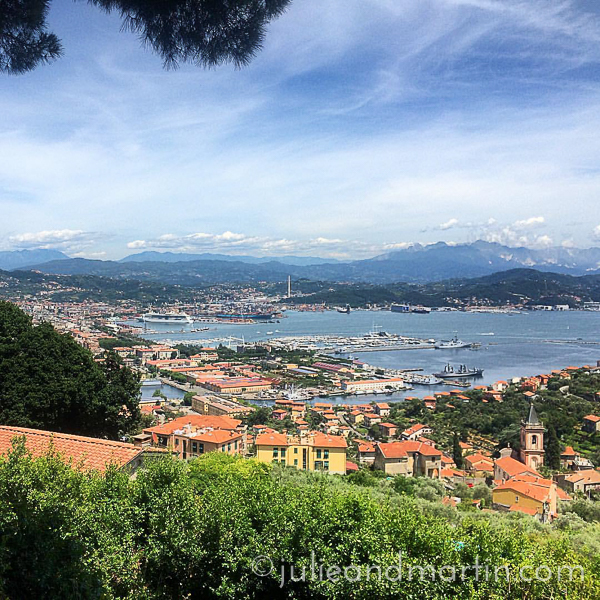 It was our first full day in this part of northern Italy, and we decided to drive around and enjoy the spectacular views. These are actual homes on the hill. We could see where the residents parked on top of the hill. You have to be really dedicated to walk those steps (and in a few cases, a ladder) to get home. 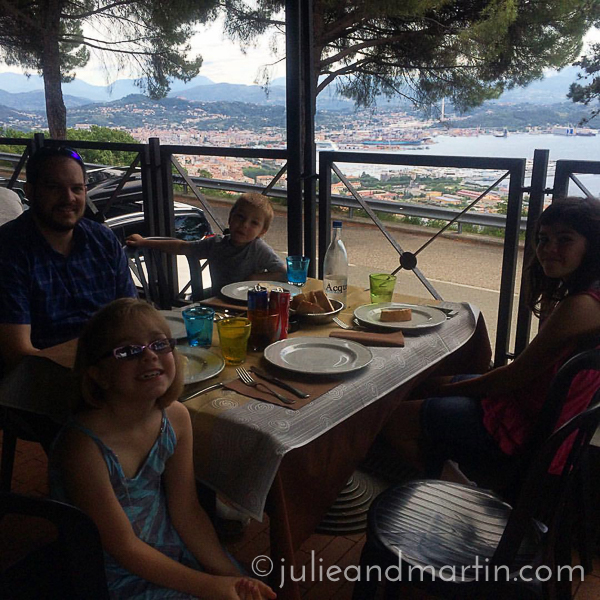 During our drive, we decided to stop at a restaurant overlooking La Spezia and the harbor for lunch. 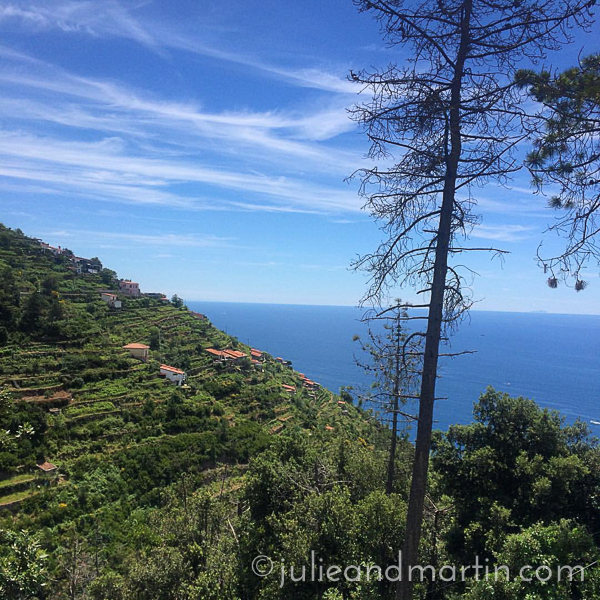 It’s just south of Cinque Terra. Just about every turn was a “double rainbow” moment for us. 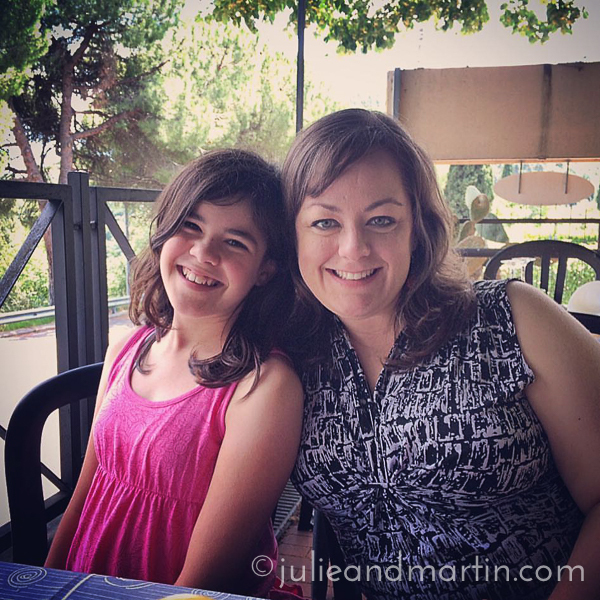 The last time we traveled thru this part of Italy, I carried her in a back pack. 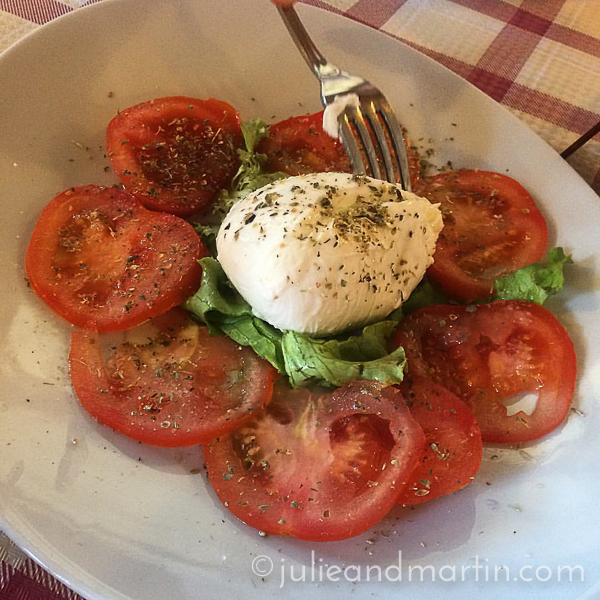 Mozzarella and tomatoes. All day, every day. But then I did. But only a little.